Our café at Bodmin General Station is open on all train operating days, serving a good variety of hot and cold drinks, Cornish pasties, sausage rolls, freshly cut sandwiches, cakes, snacks and sweets. There is seating available inside and outside the cafe for customers. At Bodmin Parkway Station, the old signalbox on the Down platform has been converted to a Café, which is operated by the Bodmin & Wenford Railway, providing a valuable service to main line travellers, walkers and our own passengers. 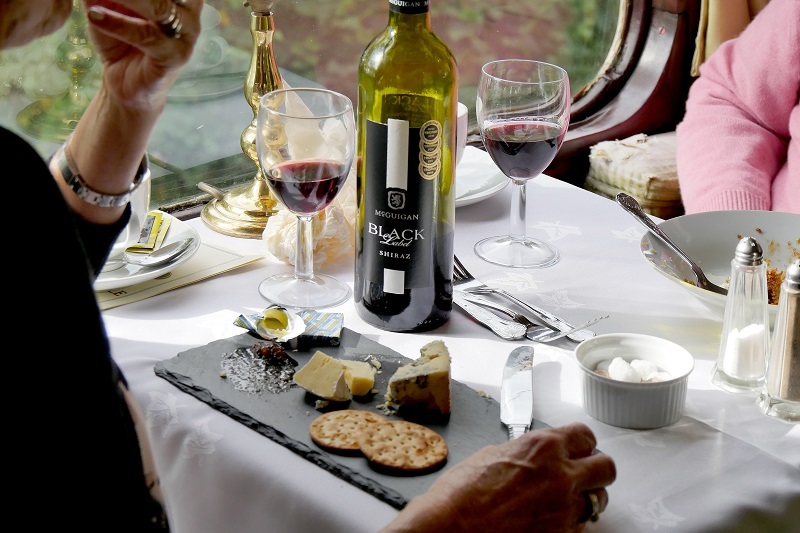 The Signalbox Cafe serves a range of hot and cold food, snacks and non-alcoholic drinks. A warm welcome is guaranteed, and the home-made cakes have to be tasted to be believed! Along the platform towards the signalbox at Bodmin General, you will find a small picnic area which you are welcome to use should you choose to bring your own food and drink with you during your visit. Boscarne Junction Station also has a picnic area, situated beside the Camel Trail. Please note, there are no catering facilities at Colesloggett Halt. 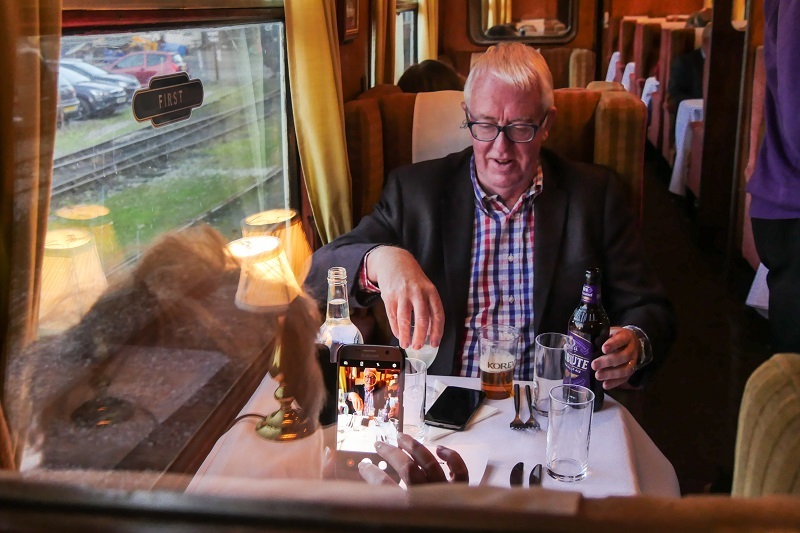 The majority of our trains have a buffet and bar, serving hot and cold drinks, snacks, sweets and light refreshments. Visit the charming gift shop on our 1950’s platform and discover a treasure trove of delightful items to suit all tastes and budgets. You’ll find an excellent range of gifts and souvenirs, ideally situated on the platform just a few steps away from the Old Booking Hall Café. The gift shop is usually open between 10am and 4.30pm every day that trains are operating. Visiting the Bodmin & Wenford Railway by car is easy! 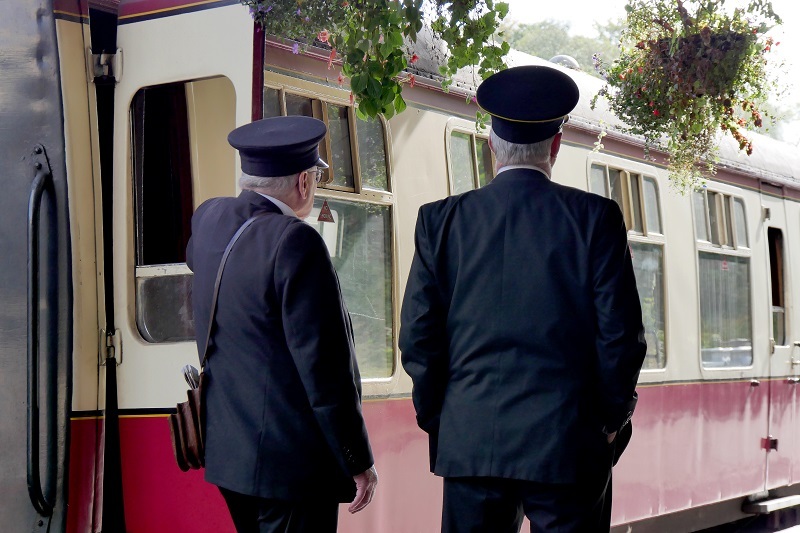 We recommend you start your visit at Bodmin General Station, our only station with car parking facilities for our passengers. There is NO vehicular access or parking at both Colesloggett Halt and Boscarne Junction stations. At Bodmin General: Our FREE car park is sited directly adjacent to the station and available for the exclusive use of our own visitors and staff. During certain special events this car park is closed, but there are two Cornwall-Council managed Pay & Display car parks within a 10-15 walk of the station. Blue badge holders can park on the station forecourt, immediately at the front of Bodmin General Station, with level access through the Booking Hall and onto the platform. Click the button below to read more about accessibility at the BWR. At Bodmin Parkway: The car park at Bodmin Parkway is managed by First Great Western Trains Limited and for the use of main line travellers only. Charges apply at this car park. At Bodmin General Station, the original station building houses Ladies and Gents toilets. Although they have been modernized and refurbished internally, these are in the same locations as the original toilets which were in use during Great Western Railway and British Railways days. There is a wheelchair accessible toilet and baby changing facilities, situated directly adjacent to the Gents. These toilets are open to railway visitors on all train operating days. There are no toilet facilities at both Colesloggett Halt and Boscarne Junction stations. The toilets at Bodmin Parkway station are managed by First Great Western Trains Limited, which are normally open each day and available for use by Bodmin & Wenford Railway customers if required. On board toilet facilities are available on most of our standard trains, please check our access page for more information.